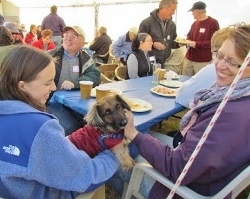 The annual Neuse Sailing Association’s Shrimperoo will take place on Saturday, March 17th at a new location, O'Town. The public is invited to join in the fun, which includes plenty of shrimp, assorted foods, and a raffle drawing. The NSA will provide the shrimp, side dishes, some drinks, and music.